Every day between 11:00am and 5:00pm during the months from Memorial Weekend in May through the third weekend in October. During May, late October and December through April call ahead to schedule an appointment. You should allow 30 to 60 minutes to complete your tour of the mansion and grounds. An audio tour is available for the tour on the TAKE THE TOUR page. You must have a smartphone and earbuds or earphones to use the audio tour. A pamphlet telling the history of its owners and descriptions of all the rooms and interesting features is given to everyone touring the mansion. Victorian Hall is not included in the tour and is not available to tour. 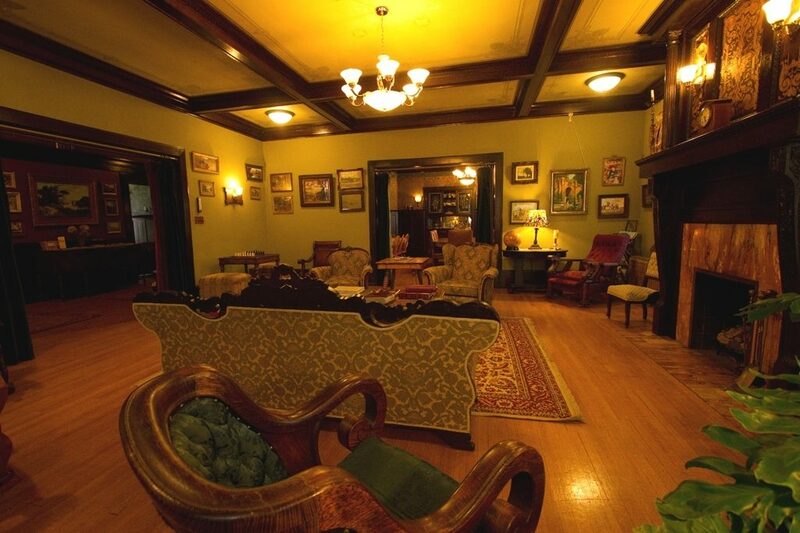 Overnight registered guests of Laurium Manor Inn, Victorian Hall, Miner’s Cottage and Keweenaw House can tour both mansions at any time and at no charge. If you choose to stay overnight after the tour, the price of your admission will be deducted from the price of the room you choose. Rates start as low as $109/night and the full buffet breakfast is included.